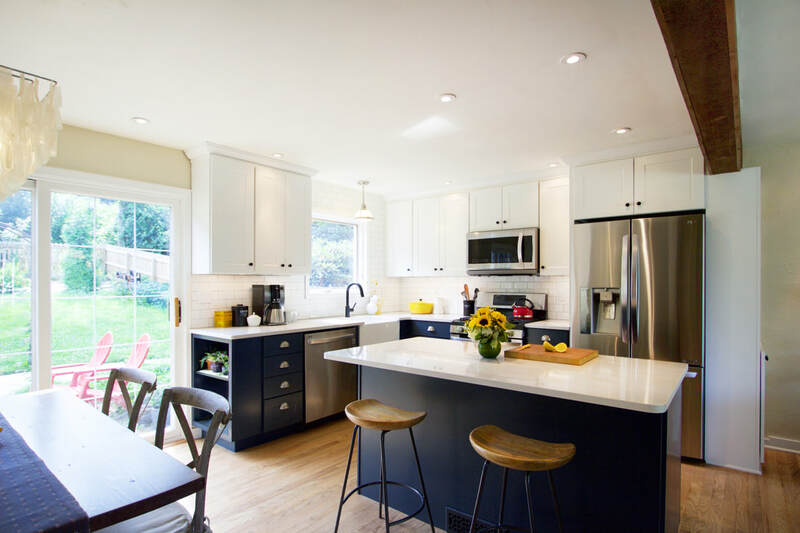 Opening up this cozy 50's Cape Cod-style home was key in this renovation. 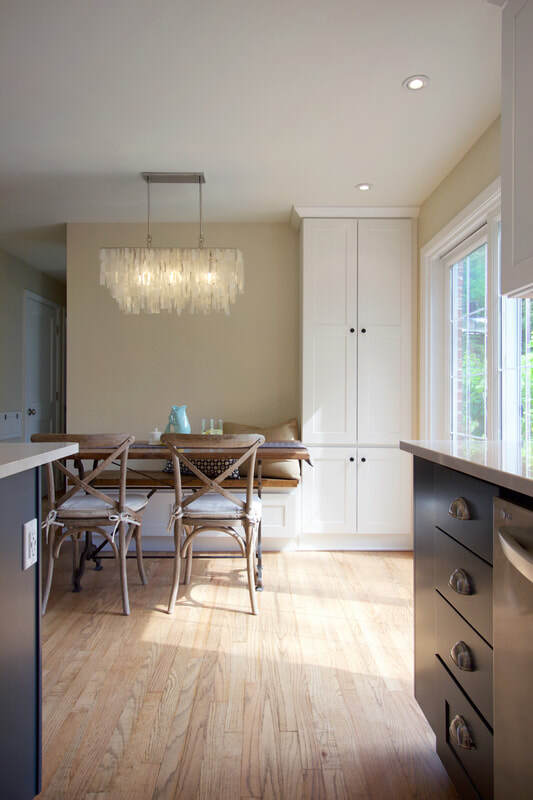 By removing walls around a cramped efficiency kitchen, we were able to create an open plan kitchen–living area with access to light and views all around. 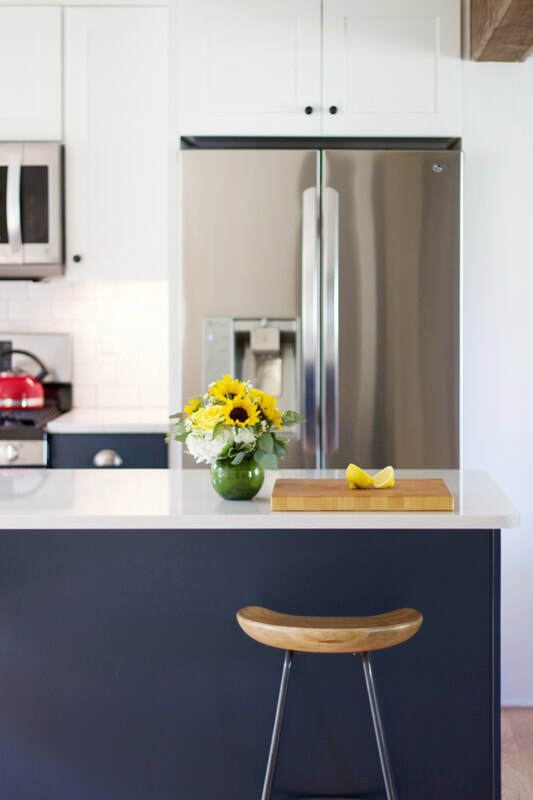 Built-in bench seating saves space and provides additional storage below. 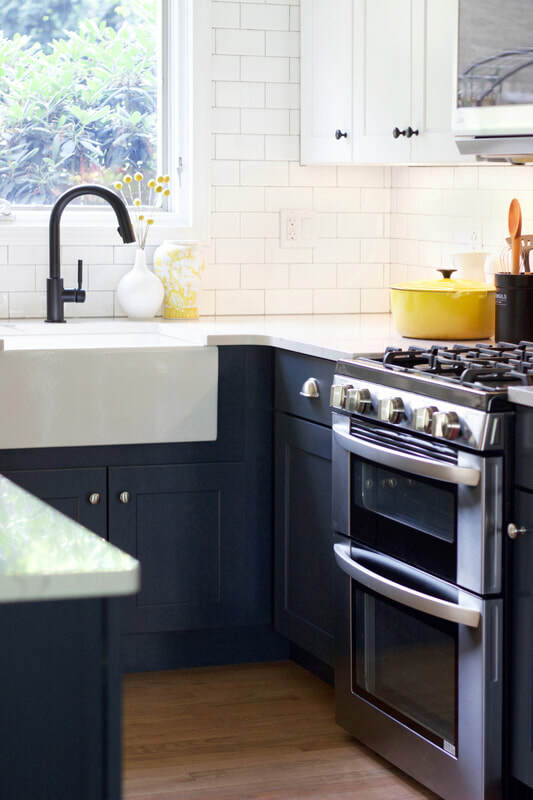 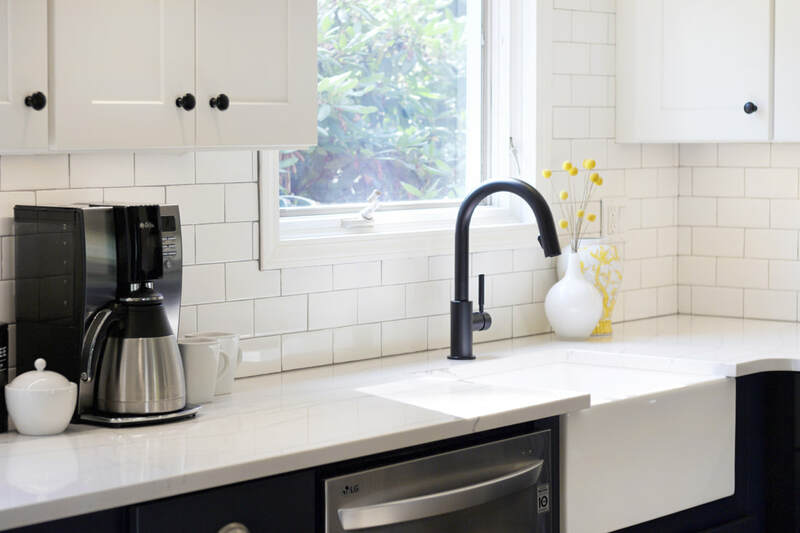 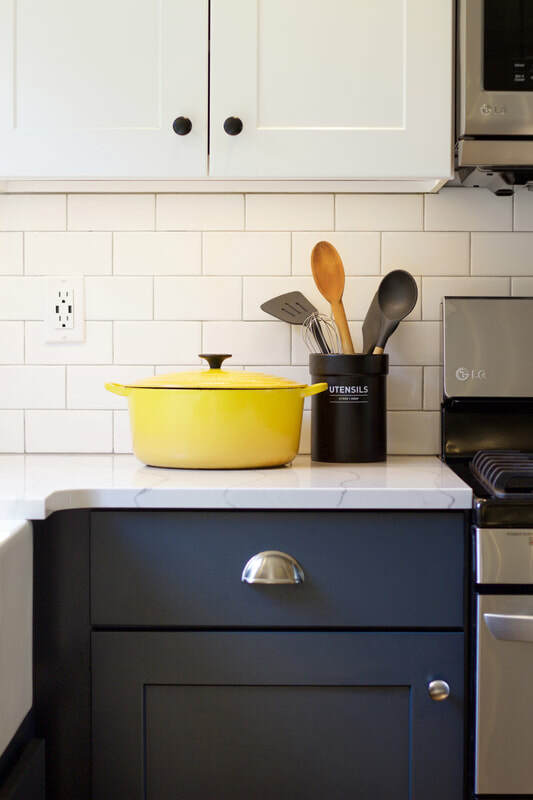 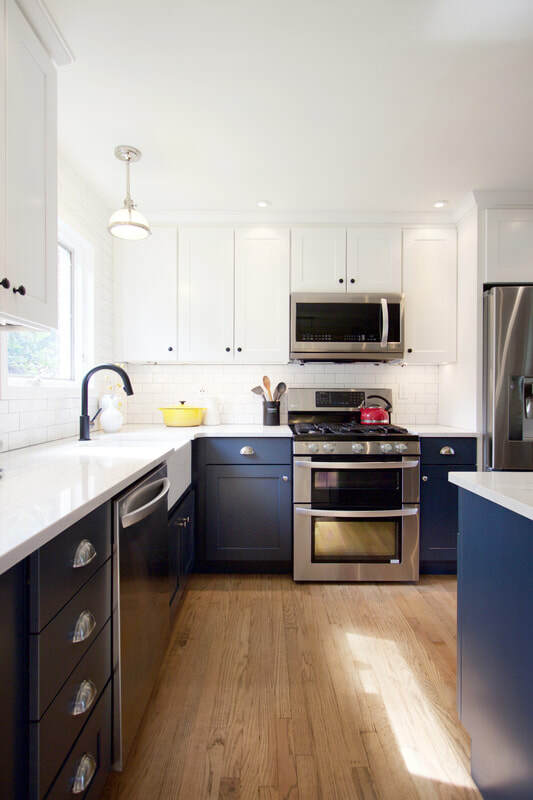 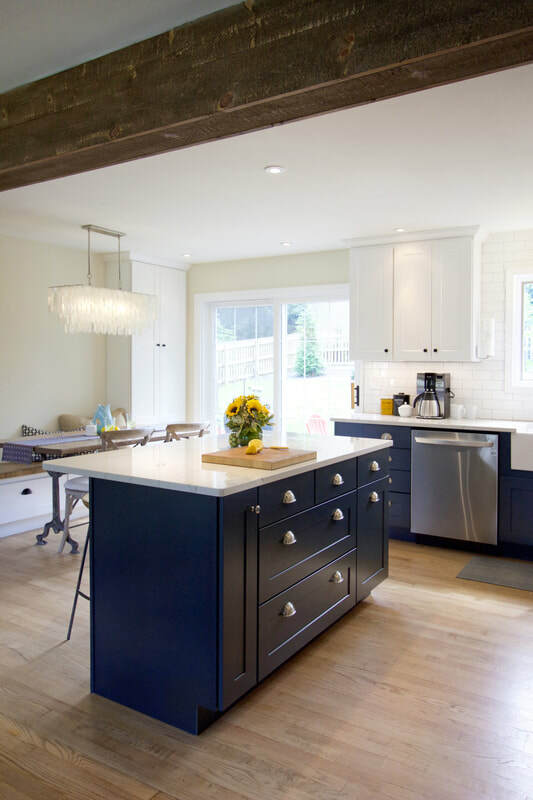 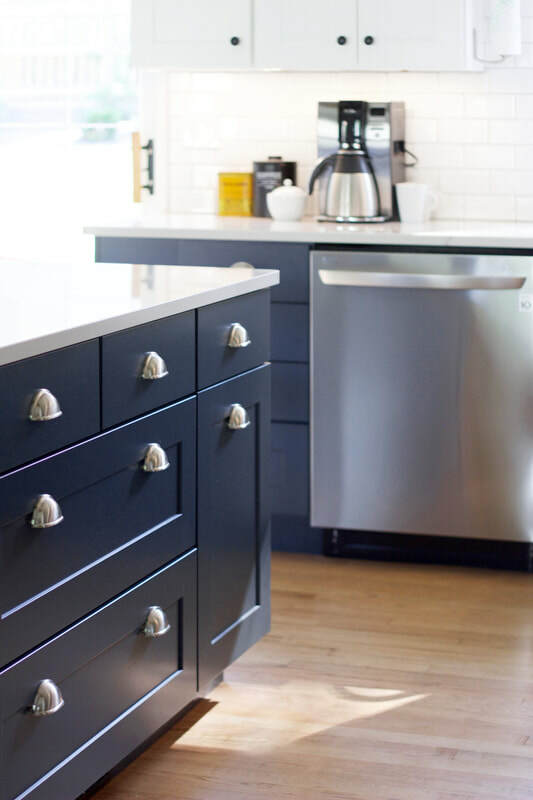 Navy blue base cabinets contrast with an otherwise light, bright material palette, featuring a simple subway tile backsplash and durable marble-look quartz countertops.